Never made music before but want to start? Want to get a better understanding of music fundamentals? Want to sketch song ideas on the road and continue them in Live? We think we can help. 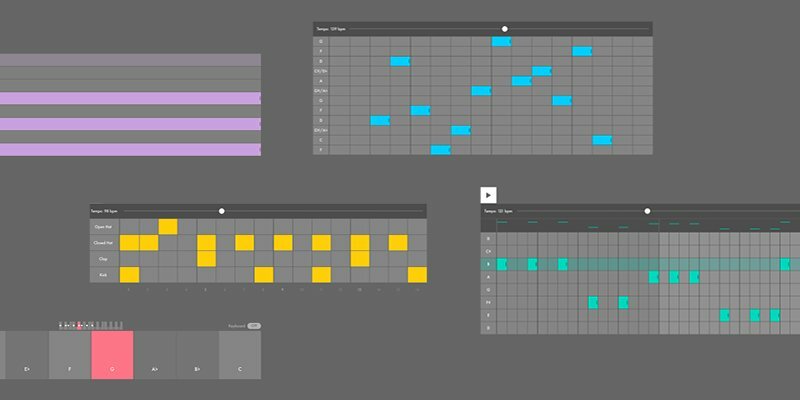 Learning Music is a new, interactive website that helps you learn the basics of music making – beats, melodies, basslines, chords, and song structure – right in your browser. It’s now available in English, German, Spanish, French, Japanese, Dutch and Italian. You can even export the music you make on the web as an Ableton Live Set, so you can take your music further. Learning Music is free, there’s nothing to install, it works on any internet-connected device, and you’ll be creating your own musical ideas right away.